Never before in the annals of US politics has a top presidential adviser had more of an inside track for influencing the White House than Donald Trump's son-in-law Jared Kushner. Will this turn out to be a problem for Trump in the future? 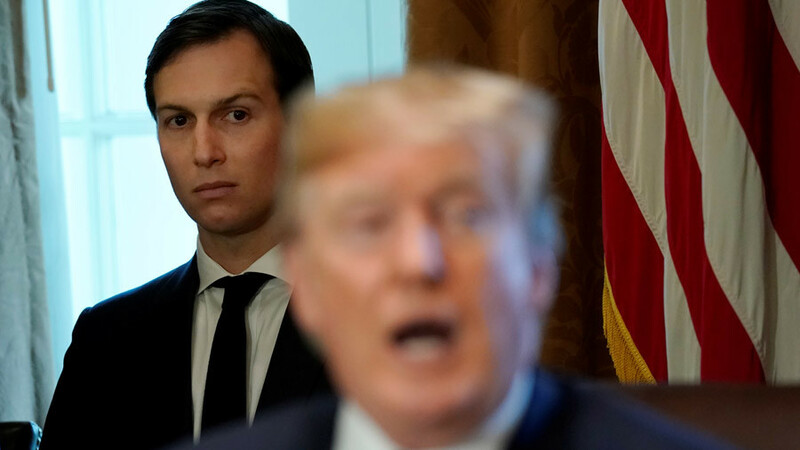 Name any major event over the course of Trump's first year in office and you will undoubtedly find the doleful face of Jared Kushner lurking somewhere in the crowd, gazing on with rapt attention (or is it somber satisfaction? ), a bit like an apprentice trapped in the floodlights of ultimate power. Beyond the question of Jared's omnipresence is his apparent knack for political survival. Although Trump tends to go through officials as rapidly as tweets, Jared has managed thus far to ride out the storm. Yet firing Jared – husband of Trump's daughter, Ivanka – would be more than your average political decision, which is probably why Trump should never have dabbled in nepotism to begin with. 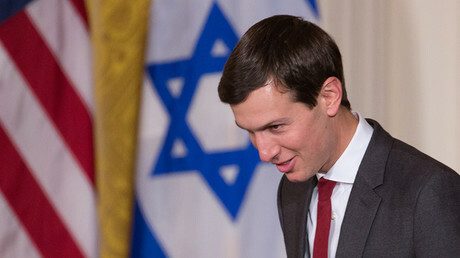 Or perhaps Jared Kushner remains in his top-level position not because he is the son-in-law of Donald Trump, or because he is so politically astute (thus far it would seem he is not), but precisely because some high-ranking people in the establishment want him there. Whatever the case may be, it is notable that while Trump's main allies – guys like Mike Flynn, Steve Bannon and Reince Priebus (all of whom were loathed by the establishment folks, incidentally) – fell to the wayside one after another, Kushner is one of the only top officials left over from the original Trump lineup. And his popularity among the establishment elite appears untarnished. Reminiscent of the day when Barack Obama was awarded the Nobel Peace Prize without ever negotiating a single peace deal, Time magazine recently named Jared Kushner among its '100 Most Influential People'. And it was none other than Henry Kissinger, 94, the fiercely criticized former US statesman, who penned the blurb that accompanied Jared's honorable mention. Kissinger, expert practitioner of the "strategic lie", says he first met Kushner "about 18 months ago, when he introduced himself after a foreign policy lecture I had given." The very next line suggests that Kissinger is lurking in the shadows of the Trump administration. "We have sporadically exchanged views since." Really? That brief comment should have triggered some alarms. What exactly does Kissinger mean by "sporadically," and what is it that he and Jared chat about? Somehow I doubt the weather. And is Trump aware of the content of these "sporadic" conversations, or is he content to get the Cliff Notes courtesy of Kushner? Considering Henry Kissinger's extremely checkered past – for starters, he convinced Nixon to bomb Cambodia and Laos, and replace the democratically elected government of Chile with a brutal military dictatorship – these are no idle questions. And as it turns out, there is already some whiff of mischief in the air that directly involves Jared Kushner, and, indirectly or otherwise, Henry Kissinger. To date, President Trump has made two critical decisions that, for many analysts, defied all logic and even common sense. In fact, they were disastrous. The first involved the firing of Michael Flynn less than a month after he was named national security adviser. The stated reason for that decision was due to conversations Flynn had with former Russian Ambassador Sergey Kislyak a month before Trump formally took office. 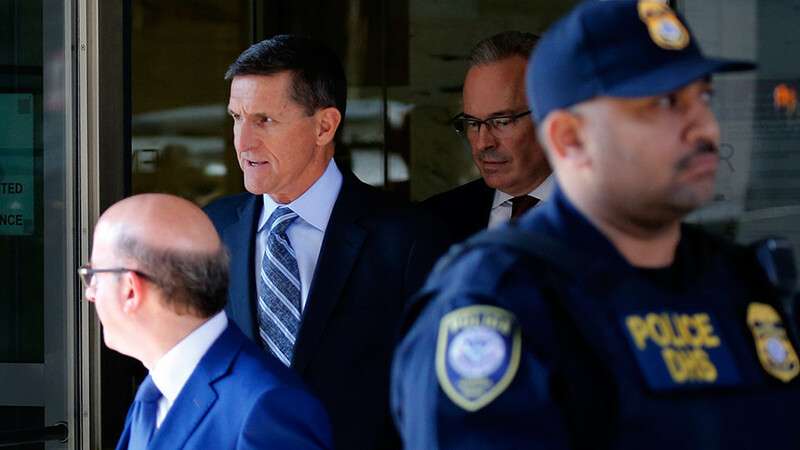 However, Flynn was doing nothing more 'subversive' than attempting to tamp down Russia's understandable fury at being treated so brusquely by the Obama administration. In the tidal wave of Russophobia that swept through Washington following Hillary Clinton's dramatic defeat, Barack Obama – after originally acknowledging the election to have been fair – suddenly changed his tune. Apparently somebody had a talk with him, and on December 29, based on the groundless claims of Russian tampering the elections, Obama expelled 35 Russian embassy staff, as well as imposing sanctions – all just days before the New Year. It was in the course of this dramatic diplomatic meltdown between the world's two nuclear powers that Flynn and Kislyak spoke on the telephone on several occasions in an effort to repair the damage (It should be noted that Jared Kushner also participated in an earlier meeting at Trump Tower with Michael Flynn and Sergey Kislyak. The purpose of that meeting was to “establish a line of communication” between the soon-to-be Trump administration and the Kremlin, the White House told the New York Times). All things considered, it was the honorable thing to do. Others, of course, saw things differently. Yet Flynn got the sack, while Kushner continues in his post relatively unscathed. When the wolves in the Democratic Party came a knocking, Trump probably thought he could satisfy those who were hell-bent on sabotaging US-Russia relations by sacrificing Flynn like an easily disposable pawn. The maverick of Manhattan seems to have gambled wrong. Trump now reportedly"regrets" firing Flynn, who he says got a "very bad deal" from the media. This week, Flynn pleaded guilty to lying to the FBI about conversations he had with former Russian Ambassador to the US, Sergey Kislyak. 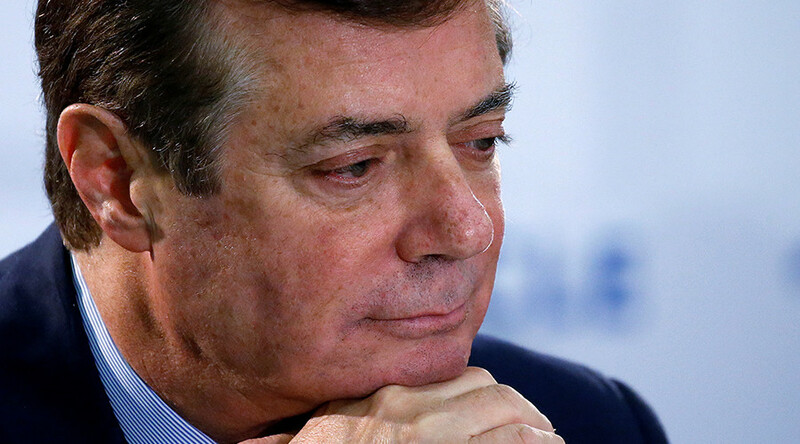 However, the talks occurred while Trump was President-elect, and as the Obama administration was working overtime to sabotage any hope the Trump administration might have had in building a working relationship with the Russians, indeed, as Trump had pledge to do on the campaign trail. So the question as to why the FBI was even questioning Flynn about such contacts remains unknown. At the same time, ABC News put out the fake news that Flynn was ordered by Donald Trump to make contact with the Russians during the election campaign. ABC News later “clarified” that the report was about Trump giving the order as President-elect. The second even more mysterious ‘mistake’ involved the firing of James Comey, the FBI Director who was in the process of investigating claims of collusion between Trump and Russia in the course of the 2016 presidential election. It did not take a political genius to understand that firing Comey while he was investigating those claims would only serve to fortify that very myth – and worse, appear as an attempt at a Trump cover-up. The US president, understandably at wits end over the never-ending witch-hunt, now seemed guilty of attempting to get rid of the nosy Comey. What he got instead was just more barbarians at the gate. Former White House chief strategist Steve Bannon, yet another dedicated Trump loyalist who got served a pink slip, told Charlie Rose in an interview that President Trump's decision to fire James Comey was "the biggest mistake in modern political history." So who gave Trump such horrible advice? Some Washington insiders are pointing to Kushner. According to a report in Vanity Fair, "Trump blamed Jared Kushner for his role in decisions, specifically the firings of Mike Flynn and James Comey, that led to Mueller’s appointment." That comment was allegedly based on a phone call between Bannon and Trump. In another conversation, political analyst Roger Stone supposedly told Trump that Kushner was giving him bad political advice, and Trump agreed. However, Nunberg's judgment is only true if we assume that Kushner is really dedicated to faithfully serving Donald Trump, but is just awful at his job. Or, alternatively, if he is instead accepting the demands and advice being given to him from people like Henry Kissinger, representatives of the establishment. In that case, it could be argued he is doing a remarkable job. Keeping in mind Mark Twain's observation that "history does not repeat itself, but it does rhyme," it was impossible to miss the historical coincidence of Kissinger appearing next to Donald Trump in May shortly after the latter unceremoniously canned Comey. Why was it a coincidence? Because decades earlier, Henry Kissinger, while serving under Richard Nixon as National Security Adviser and Secretary of State, played a major role in the so-called 'Saturday Night Massacre,' which saw Nixon fire Watergate special prosecutor Archibald Cox, who was attempting to retrieve telephone recordings connected to the case. What followed from that disastrous decision was Nixon being eventually forced to resign in disgrace, a political calamity that some experts say could eventually happen to Trump if 'Russiagate' gets any more out of control. "The unexpected firing of a high-profile investigator looking into potential political malfeasance connected to the White House, followed by a visit by Henry Kissinger to the Oval Office. No, this is not October 1973,"began an ABC News report detailing Kissinger's strangely timed invitation to the White House. Trump said the meeting with Kissinger focused on Russia, Syria and "various other matters," calling Kissinger a "friend for a long time." Coincidence or otherwise, Kissinger was one of Nixon's closest confidants and also met with him after the Saturday Night Massacre. "I don't think we can read too much into that, but it would be interesting if they were consulting him on troubleshooting, in which case, Kissinger wouldn't be the first person I would turn to," David Greenberg, a professor of history and journalism and media studies at Rutgers University in New Jersey, told ABC News. In any case, if it really was Jared Kushner who advised Trump to dump both Flynn and Comey, as many analysts suggest, then the sudden appearance of geopolitical guru Kissinger in the White House shortly afterwards is peculiar to say the least. Just recently, we may have witnessed, albeit from second-hand accounts, Jared Kushner taking his first steps as a Kissinger geopolitical protégé. On November 3, Saudi Arabia placed a call to Lebanon's then Prime Minister Saad Hariri, demanding that he pay a visit to Riyadh. Hariri wasted no time at all, reportedly flying to Saudi Arabia without his regular staff. 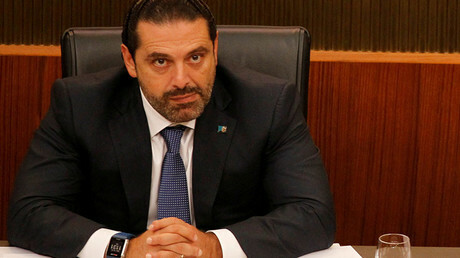 The next day, Hariri did something completely out of the ordinary: In a televised appearance, from the Saudi capital, he announced that he was resigning from his post as prime minister. Western media greatly played down the fact that Hariri made his announcement on foreign soil, not least of all Saudi soil, while giving extra attention to Hariri's explanation for his sudden retirement: Iran and Hezbollah, which just helped Syria liberate itself from ISIS terrorists. “Wherever Iran settles, it sows discord, devastation and destruction, proven by its interference in the internal affairs of Arab countries,” he said in his prepared statement. He also said he feared for his life. That evening, Crown Prince Mohammed bin Salman arrested 11 Saudi princes, 4 government officials and dozens of businessmen, while also claiming that Saudi Arabia had intercepted a ballistic missile launched by Houthi rebels in Yemen. The blame for that unconfirmed event naturally went to Iran as well. “Hariri’s resignation was done with planning by Donald Trump, the president of America, and Mohammed bin Salman (MbS), the crown prince of Saudi Arabia,”said Hussein Sheikh al-Islam, adviser to Iran’s supreme leader. However, Iran’s foreign minister Mohammad Javad Zarif took the blame game one step further, pointing to Jared Kushner as the cause of the spectacle. Today, Hariri, following a whirlwind tour that took him to Paris following his stay in Riyadh is back in Lebanon where he remains the Prime Minister. The Washington Post provided some scant details on Kushner's secretive meeting with MbS: "MBS is emboldened by strong support from President Trump and his inner circle... It was probably no accident that last month, Jared Kushner, Trump’s senior adviser and son-in-law, made a personal visit to Riyadh. The two princes are said to have stayed up until nearly 4 a.m. several nights, swapping stories and planning strategy." 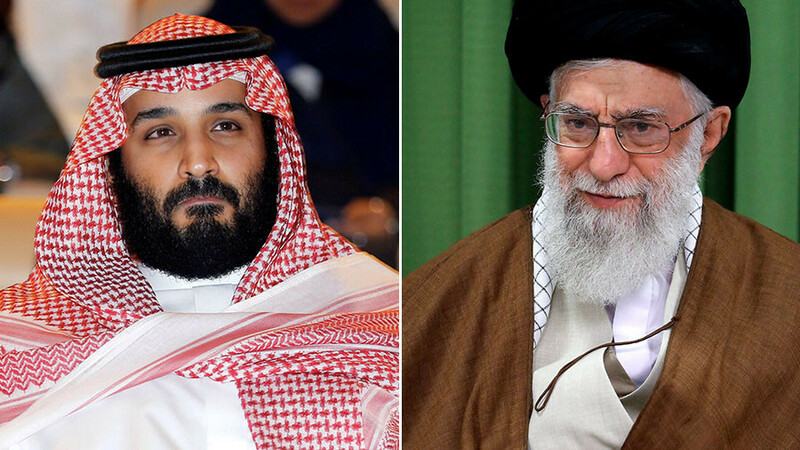 Meanwhile, Israel's interest in what transpires between Saudi Arabia and Lebanon is also of no small concern, given its wariness of Iranian moves in the region, as noted by The Spectator: "The Jewish state is hardly a natural ally for Saudi Arabia, but they have long shared a common enemy: Iran. Both fear the latter is exploiting the opening created by the fall of Isis, and the triumph of the Assad regime in Syria, to dominate the region..."
The question, however, comes down to what role Jared Kushner has been playing in all of this, and to what end? 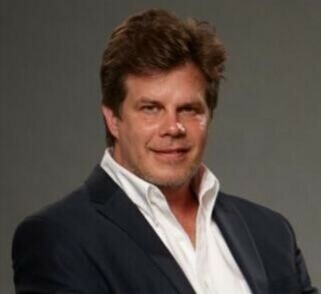 Is he loyally and dutifully serving the interests of Donald Trump, while - at the same time - being quietly groomed as the next Henry Kissinger, possibly and eventually moving seamlessly between consecutive administrations, as Kissinger did when he survived the downfall of Nixon and went on to serve under Gerald Ford? Or is Jared Kushner, despite being the son-in-law and top adviser of Donald Trump, heeding the demands of a different master?